Hi guys! We decided the time for the Aloha Party! 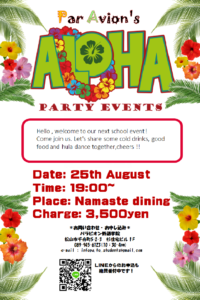 It will start from 7 pm and let’s dressed up Hawaiian style🌺. There will be prizes for the best dressed guests.